Another reference to AirPower was discovered on Monday, this time in relation to Apple's new AirPods range. 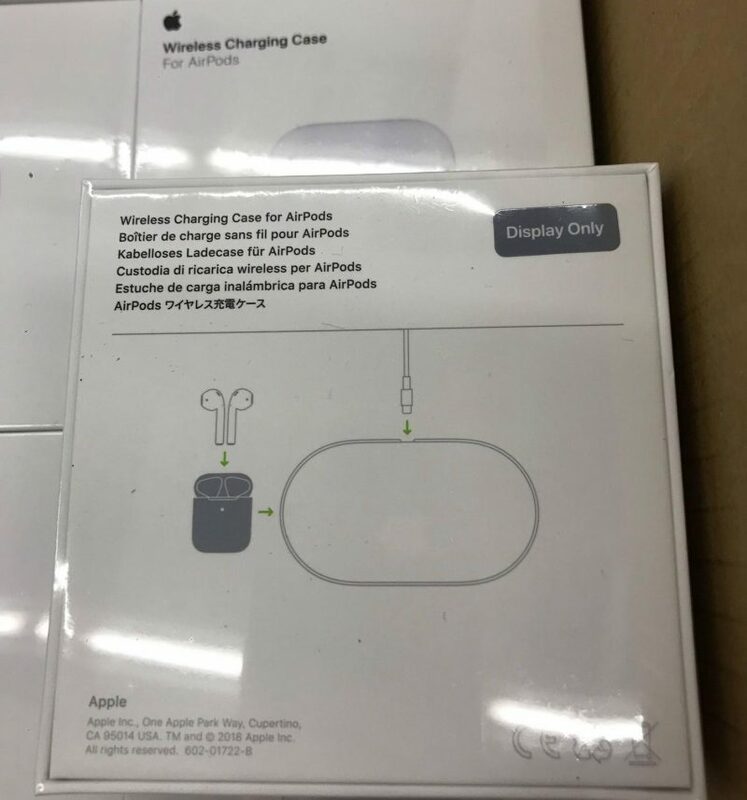 The photo below was sent to MacRumors and shows Apple's long-delayed wireless charging mat on the back of the box for the new Wireless Charging Case for AirPods, which Apple announced last week. The image has since been verified by other Twitter users who have received their charging case orders early. The Wireless Charging Case packaging clearly shows the distinct pill-shaped outline of the AirPower charging mat externally powered by what appears to be a USB-C or Lightning cable, indicating that the yet-to-be-released device can be used to charge AirPods using the wireless-compatible charging case. Meanwhile, The Wall Street Journal reported that Apple approved production of the AirPower earlier this year, and reputable analyst Ming-Chi Kuo has said the AirPower will be released within the first half of 2019. According to Taiwanese publication DigiTimes, Apple plans to release its long-awaited wireless charging mat AirPower in "late March." I'm sure that when AirPower finally arrives some people will cry themselves to sleep in disappointment. We've waited for AirPower for almost 3 years. Now it's almost here. You go to the Apple Store feeling more anxious than that time Mom said Santa would bring you that N64 for Christmas. You give Apple $160 and rush home. You post your unboxing on YouTube. And then you place your phone on that goddamn mat. And your phone charges. And that's it. The phone charges. Like it has since the beginning of time when connected to a charger. Because it's a ****ing charger that ****ing thing you just bought. What will we do with our lives when that finally happens???? Shut the hell up about the AirPower already. Literally the unicorn of all apple products. You cut the picture out and just pretend. I think it's referring to this product, available in any decent North American Chinese mall for a year or so now. He's on the metric system.